UK gold prices may be levelling-off after Brexit but a senior dealer at one of the oldest bullion houses in the UK is warning that demand for the yellow metal could still push prices up further this year. Oliver Temple from City-based Gold Investments says following the country’s decision to leave the EU, prices for the yellow metal generally spiked as investors rushed to protect some of their assets by buying gold. “With markets settling back down and a new British prime minister at the helm, gold prices are generally levelling-off,” says Temple. Temple believes there could be a number of factors which are affecting the precious metal’s prices now. “When interest rates are low, investors are attracted to the precious metal because of the poor returns on bonds and cash savings. Temple says the economic worries from the Eurozone are also still there and this will be having a bearing on the UK’s own economy. “We do not know what the wider impact of Brexit will be in Europe despite Greece’s May deal on debt when further bailout loans to the country were agreed by Eurozone finance ministers. Temple says the dollar has become stronger recently so this will be having a bearing too on prices by keeping them down. “Our advice for investors is to take a wider view of gold prices. Gold investing should be viewed for the medium to long-term, rather than just something for the short-term. It should be thought of like an insurance policy. 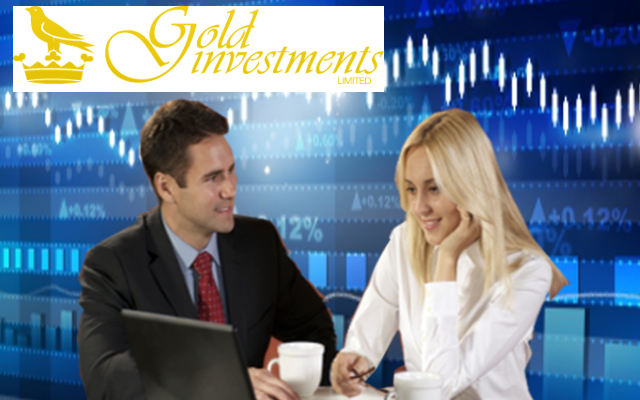 Gold Investments gives users a free and quick way to set up alerts for UK gold prices here. Gold Investments has been trading since 1981.